We are in a snowy Stockholm, enjoying our first proper sub-zero temperatures of the year, snow and comforting Swedish food. 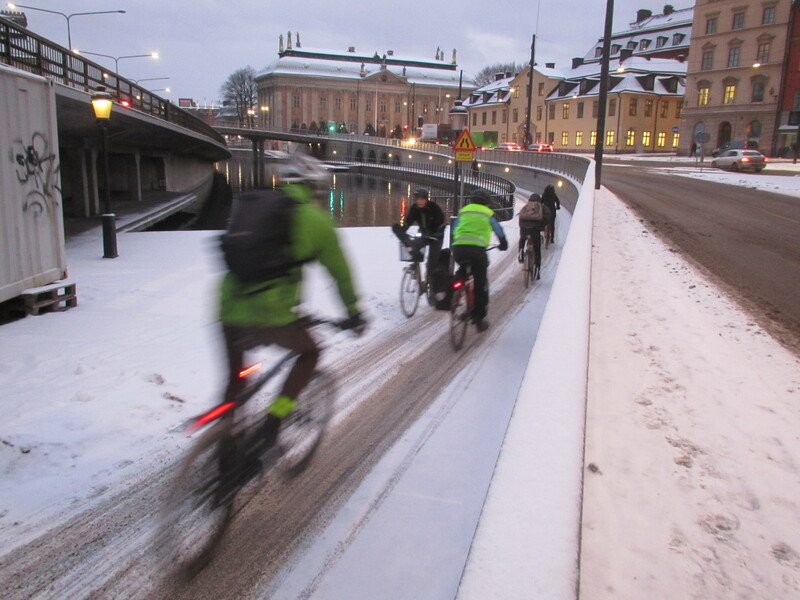 Lots more storytelling to come, not least wondering how the hardy Stockholm cyclists are coping with the first snows of the year. Very cautiously seems to be the answer! This entry was posted in Countries, Travel and tagged cycling, snow, Stockholm, Sweden, Travel by kevinmayne. Bookmark the permalink. Good to hear from you Mick. don’t panic – 7.01 your time was 8am in Stockholm and I was already one cup of tea in hand. Mind you, sunrise not until 8.30 and minus 7 that’s hard work in the mornings.